The results matter to more than people who obsessively refresh a page titled “USCA-DC Opinions” every Tuesday and Friday, starting at around 10 a.m. The risk that an internet service provider might block or slow an app, site or service (then charge it extra to get around those limits) is not hypothetical; ISPs have spent years talking about doing just that. A ruling upholding the FCC’s adoption last spring of net-neutrality rules that prohibit this kind of discrimination against legal internet traffic would let us all get on with our online lives and ease the way for interesting new, bandwidth-dependent startups. A ruling the other way would up the uncertainty by vaporizing regulations that have remained in effect during this challenge. But even as weeks of waiting for a resolution of United States Telecom Assoc. v. FCC et al. have turned into months, one thing is becoming clear: If net-neutrality rules were supposed to suffocate private investment in broadband, they’re doing a bad job of it. Lowell McAdam, the Chairman and CEO of Verizon. You can arguably thank Verizon for the new net neutrality rules. The net neutrality story has changed greatly since Columbia University law professor Tim Wu used that phrase in the title of a 2003 paper about discriminatory practices by broadband providers. Just over two years ago, it seemed unimaginable that the FCC would pass strong rules based on longstanding “common carrier” provisions of telecom law that, for instance, require networks like the phone system to route people’s calls on an equal basis. You can arguably credit Verizon (VZ) for the current rules. In 2011, that New York telecom giant sued the FCC to overturn an older, far weaker set of net-neutrality rules. That case hinged on the FCC’s classification of internet companies as “information services” — which was a label more suited to AOL at its floppy-disk-mailing peak than the internet we know today. In January of 2014, the DC Circuit held the FCC didn’t have sufficient legal authority to prohibit “information services” (i.e., internet providers) from discriminating against certain kinds of traffic. That ruling by judges David S. Tatel, Laurence H. Silberman and Judith W. Rogers, however, signaled as clearly as possible that the FCC could do just that if it reversed its decisions of an earlier decade to reclassify internet providers as information services and instead re-reclassified them as common carriers, using authority it’s long had under the Telecommunications Act. After a flood of pro-net-neutrality comments from the public, the commission took the court’s hint and — surprise — got sued again. The new rules amount to a “sweeping bureaucratic power grab” unfounded in fact and detached from past practice by the FCC, according to court filings filed by the United States Telecom Association and other trade groups challenging net neutrality. The US Court of Appeals for the DC Circuit will settle that someday, but that day is not today. It may not be next week or next month either. At this point, who knows? • Verizon has sold its Fios service in some markets to Frontier Communications (the latter firm then botched much of the switchover), but it’s also taken the surprising step o fexpanding Fios across Boston, six years after declaring that it was done bringing that fiber-optic service to new markets. It’s also rushing to get 5G wireless broadband into the market. • AT&T said in a 2014 FCC filing that reclassifying internet providers as common carriers would “abruptly stall the virtuous circle of investment and innovation that has propelled the United States to the forefront of the broadband revolution.” It’s since stepped up its U-Verse fiber service expansion; by January, that network had passed 500,000 miles. 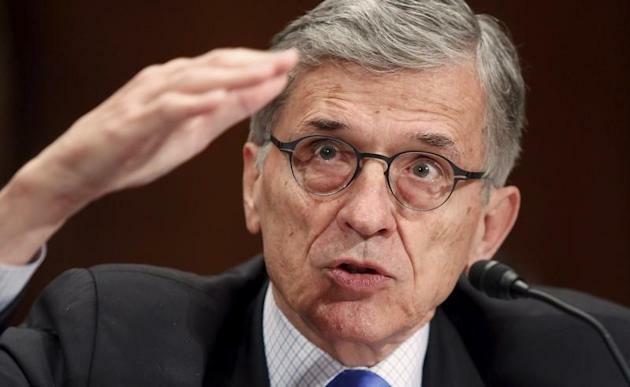 • The FCC has received 99 bids for its “incentive auction,” a reshuffling of the airwaves that will see spectrum unused or underused by broadcasters returned to the government and then sold to buyers, with broadcasters getting a share of the proceeds. The bidders include Comcast, AT&T and Verizon as well as T-Mobile (TMUS) and Dish Network (DISH). Meanwhile, the FCC’s own enforcement of net neutrality has been more sandal than jackboot. For instance, it’s yet to do anything about “zero-rating” by wireless carriers — exempting some apps or services from their own data caps — even when it’s involved Verizon zero-rating its own video service. A court ruling may bring some legal clarity to the net-neutrality issue, but we don’t not need any special panel of judges to rule that the net-neutrality nuclear-winter hypothesis looks mighty thin these days.